Results are for Towns County only. HIAWASSEE, Ga. – The election in the 2018 run-off race between Georgia Secretary of State and Public Service Commission will be decided tomorrow, Dec. 4, and during last week’s early voting, a total of 1,136 Towns County voters had cast their ballots at the Hiawassee precinct. The breakdown, obtained by FYN from the Towns County Board of Elections, revealed that 1,114 voters arrived in person at the polls, while 22 submitted absentee ballots by mail. The Hiawassee, Macedonia, Young Harris, and Tate City polling prercincts will be open on Tuesday, Dec. 4, from 7 a.m. to 7 p.m. Towns County Elections Director Tonya Nichols said that three voting machines will be available at the assigned locations. For the office of Secretary of State, Republican Brad Raffensperger faces Democrat John Barrow. In the race for Public Service Commission, Republican Chuck Eaton verses Democrat Lindy Miller. Count on FYN to deliver local and state results in real-time on election night. HIAWASSEE, Ga. – Early voting for the 2018 midterm run-off election begins Monday, Nov. 26, and runs through Friday, Nov. 30. The Hiawassee voting precinct, located at the Towns County Board of Elections, will open from 8:30 a.m. to 5:00 p.m. with polls open until 6:00 p.m. on Thursday, Nov. 29. Nichols relayed that the elections office is waiting for absentee ballots to be delivered to Towns County. Applications are available online through the Secretary of State website. The election to decide Georgia Secretary of State and Georgia Public Service Commission will be held Tuesday, Dec. 4. Vying for Secretary of State, Republican Brad Raffensberger received 49.13 percent of the vote in the general election and Democrat John Barrow received 48.64 percent. In the race for Public Service Commission, Republican incumbent Chuck Eaton received 49.74 percent of the vote, while Democratic challenger Lindy Miller received 47.60 percent. 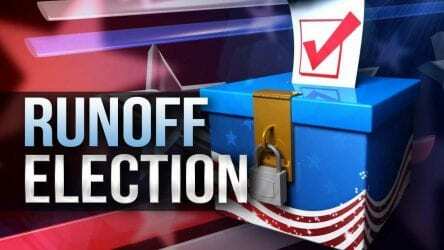 Polling precincts in Hiawassee, Macedonia, Tate City, and Young Harris will be open on election day from 7 a.m. to 7 p.m.
Count on FYN to deliver the results as the ballots are counted.